Tune in for the Shopping Show Monday thru Friday 3 pm to 5 pm on KNCO News Talk AM 830 for savings on great products and services during the show and give us a call at 477-5626 or 272-3424 the rest of the week. And be sure to register as a regular Shopping Show customer to make your shopping experience quick and easy. Please scroll thru the categories or purchase now any of the featured items here on the homepage. There are a bunch of new items each week. Please note that every item in our inventory is extremely discounted, not just the featured items and you can purchase right away at these fantastic low prices just click on the "buy now" button of any item you want and get ready to save! Preferred pickup hours are Monday through Thursday 8 am to 5 pm and Friday 8 am to 4 pm. Afternoon Deli - 101 West McKnight Way, Grass Valley- to the left of the KMART Garden Center- 273-6066 Using natural meats that are free-range and organic whenever possible, the specialty sandwiches and burgers at Afternoon Deli are always premium, fresh, and made to order. The afternoon deli is open from 11 to 4:30 Tuesday through Friday, and from 11 to 3:30 on Saturdays. You can call ahead for orders to go, and afternoon deli delivers using waiters on the go. For lunch how about a hamburger, or buffalo burger, or perhaps a gyro or falafel? Try the pastrami, or the real cheesesteak, famous in these parts for being healthy, sinfully delicious, and oh so filling. On Friday and Saturday, try the lunch special: bbq fish tacos featuring ahi tuna or tempeh, or if you’re gluten-free try the Baha tuna melt on a corn tortilla. Limitation: No tax or gratuity included, no cash value, no change will be given, one certificate per purchase and no refunds. All Star Automotive can handle most any automotive repair or scheduled maintenance your vehicle may need. They now honor all extended service contracts as well. 10141 Evening Star Dr. in the Loma Rica Business Park Area, next to Habitat Restore in Grass Valley. Call them at 274-8227. $25 Value oil change with the following services: Covers Regular Oil Change and Filter Replacement, Tire Rotation, Complete Vehicle Inspection, including all fluids, filters, brakes, front end, engine tune condition, and tires for starters, including a 27-point vehicle inspection. Limitation: No Cash Value (change will not be given). Up to 5 quarts of oil. Return customers welcome. All Star Automotive can handle most any automotive repair or scheduled maintenance your vehicle may need. They now honor all extended service contracts as well. 10141 Evening Star Dr. in the Loma Rica Business Park Area, next to Habitat Restore in Grass Valley. Call them at 274-8227. The Synthetic Oil Change Service covers a change and filter replacement, tire rotation, 27-point vehicle inspection including all fluids, filters, brakes, front end, engine tune condition, and tires just to list a few. Limitation: No Cash Value (change will not be given), one per customer per vehicle, you may bring multiple vehicles. Certificate cover up to 5 quarts only. AllStar Automotive can handle most any automotive repair or scheduled maintenance you may need. We now honor all extended service contracts as well. 10141 Evening Star Drive #9 In the Loma Rica Business Park area next to the Habitat Restore in Grass Valley. Call them at 274-8227. The Diesel oil change includes a diesel oil change with filter replacement, tire rotation, complete vehicle inspection including all fluids and filters, front end, engine tune condition and tires for starters. It's a 27 point inspection as well as a complimentary car wash. Attention all golfers! Alta Sierra Country Club is now offering a round of golf (18 holes) including a cart for just $50! of course, you can buy it here on the Shopping Show for less! It's no secret that Alta Sierra Country Club has one of the most beautiful clubhouses and golf courses in all Northern California! If you haven't been there recently then now is the perfect time to visit! To find out more info or book your tee time please call 273-2010. With that comes: A posture and gait evaluation, an orthopedic evaluation, a neurological evaluation, and the Chiropractic Adjustment itself, Dr. Kebby Margaretich identifies the sources of your pain and relieves your pain quickly. Dr. Kebby is a sought-after chiropractor known for his restorative solutions. Many patients thank Dr. Kebby for not only eliminating their pain but for showing them how to maintain an active lifestyle and avoid injury. Whatever is causing your pain, whether it be sports, headaches, back pain, or stress, Dr. Kebby will help you achieve the pain-free-active lifestyle you deserve. Celebrating 10 years of relieving pain. Accepting new patients. 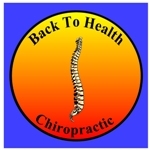 Stop living with pain and get Back To Health. Call today at 273-4102. Specializing in: Sports Injury, acute and chronic pain, headaches, children, personal injury, and hard to treat cases. Limitation: No tax or gratuity included, no cash value, no change will be given. Blue Moon Apparel	2056 Nevada City Hwy Grass Valley CA 95945 530.477.7327 Open 7 days a week. Monday to Friday 9:30 to 5:30 Saturday 10:00 to 5:00 Sunday 11:00 to 4:00 Name brands fashions at discount prices like J-Jill, Life is Good, Loft and Pretty Angel just to name a few. Casual attire, dresses, plus-size, shoes, jewelry, purses, gifts and accessories. Customer service is as important to them as it is you! Booktown is a cooperative of 14 independent booksellers with 4,000 square feet of used and rare books, ephemera, books on CDs, music CDs, DVDs, LP records, and art. Each Bookseller has their own booth in the store that displays their special genres of books. Every book is coded and priced by each bookseller. Book Town Books has added a new Rare Book Room in Booth 16 downstairs where discriminating collectors can find fabulous rare, unusual and antiquarian books. Ask at the desk for more information. 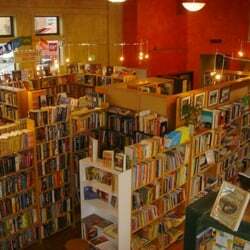 Additionally, many booksellers may purchase books for resale from walk-in customers. GRASS VALLEY SUPPLEMENTS & HERBS, (CHANEY DISTRIBUTORS) We have been Nature’s Sunshine Independent Distributors & Managers for over 35 years. 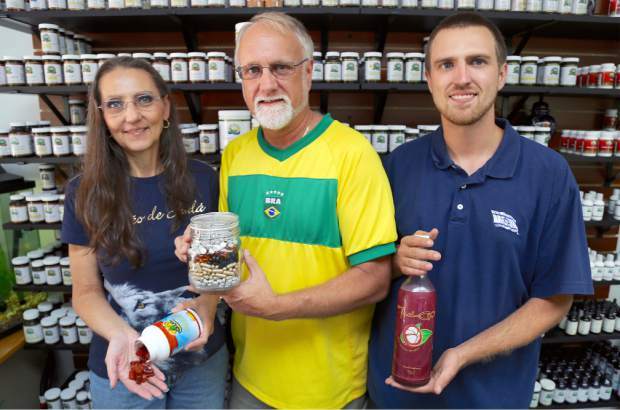 We’ve been supplying Grass Valley & Nevada City Supplements & Herbs since 1968. We carry only the finest quality herbal, nutritional, aromatherapy, and flower essence products that get results because Nature’s Sunshine tests every product every time to make sure we have only the best, purest, organic supplements available. Please don’t hesitate to contact us if you have questions about our products or would like information about improving your health the natural way! Those of you who can get to Grass Valley, California, please stop in CHANEY DISTRIBUTORS/Brad's Herbs and we can test you (by appointment) using the COMPASS by Zyto Corporation, to help you decide which products are the best ones for you.